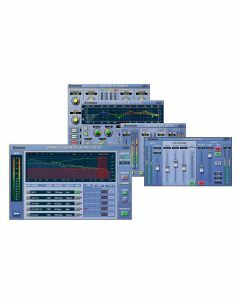 Welcome to the brand new Sonnox Mastering Bundle; a hand picked selection of their Plug-Ins focused on getting the very most from your 2-bus and the files you subsequently deliver. Sculpt tone with pinpoint accuracy, control dynamic range transparently and achieve maximum loudness, density and presence without sacrificing transient detail. Then deliver your music, with full confidence that it conforms to industry accredited true peak levels and that encoded distribution versions won’t be rejected.